(NaturalNews) Australia has descended into a state of medical fascism with its recently passed Public Health and Wellbeing Amendment, which forces families to have their children vaccinated or else lose their yearly tax benefits. Parents who are conscientious objectors to vaccination, for whatever reason, will now be unable to claim any childcare rebates and will lose their end-of-year family tax benefits. The No Jab, No Pay amendment, which went live on January 1, 2016, also restricts the ability of parents exercising medical choice to access childcare services. "Political ignorance towards medical reality"
Showing political ignorance to medical reality, the bill offers a 63-day grace period for children to enroll in a "catch-up" program before benefits are cancelled. Stacking numerous vaccines in a short period of time has shown to dangerously challenge a child's still-developing neurological system. In other words, the Australian government is forcing low-income families into a choice between seriously endangering their children's health or facing financial penalties amounting to as much as $30,000 per year (for families with two children). The "No Jab, No Pay" amendment requires children to receive all of the vaccines listed by the National Immunisation Program. Although, in theory, medical exemptions are available, Australian health practitioners are being pressured to conform to the program or risk losing their licenses to practice. This legislation violates international human rights agreements, common medical ethics and even Australia's own Department of Health guidelines, which state that any medical procedure "must be given voluntarily in the absence of undue pressure, coercion or manipulation." Legal challenges are already being mounted against the amendment – the Australian Vaccine-Skeptics Network (AVN) has filed an 85-page State of Evidence document with the Senate Community Affairs Legislation Committee. AVN's State of Evidence report was divided into five sections titled needless, pointless, baseless, excessive and illegitimate. Under each section were pages of sound medical, legal and epidemiological evidence to strongly support each claim against the implementation of the amendment. Whether or not the legal challenges are successful, the law is now in effect and likely has already forced thousands of families into making the painful decision between dangerous vaccinations and severe financial penalties. Australia's 2015 amendment all but guarantees families will experience financial hardship, either from being forced out of the workforce due to the prohibitive cost of full-fee childcare, due to the majority of your wages being absorbed by full childcare fees and/or due to being denied childcare benefits and rebates. 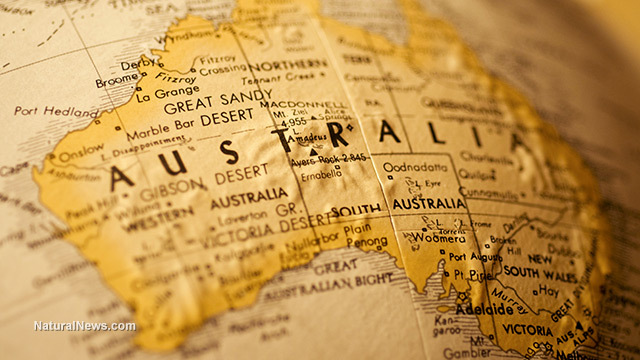 The Australian authorities have now begun tracking vaccine adherence among the populace – as American health authorities already do. Legal challenges may eventually succeed in countries facing mandatory vaccinations, but for now, medical fascism backed by Big Pharma's influence continues to prevail in the United States, Australia and elsewhere. Since vaccines are not safe and carry inherent risks, any country that enacts mandates sees an increase in vaccine injury. Without proper acknowledgement and care for those affected by such injury, Australia is now poised to begin the long slide towards widespread severe adverse vaccine reactions. In the United States, the estimated individual life-long cost of vaccine injury is $1.4 to $2.4 million per child. Australia appears to be risking its future economy and healthcare with the baseless vaccine "science" found in the No Jab, No Pay mandate. Who really benefits from these mandates? And who really pays the price...?